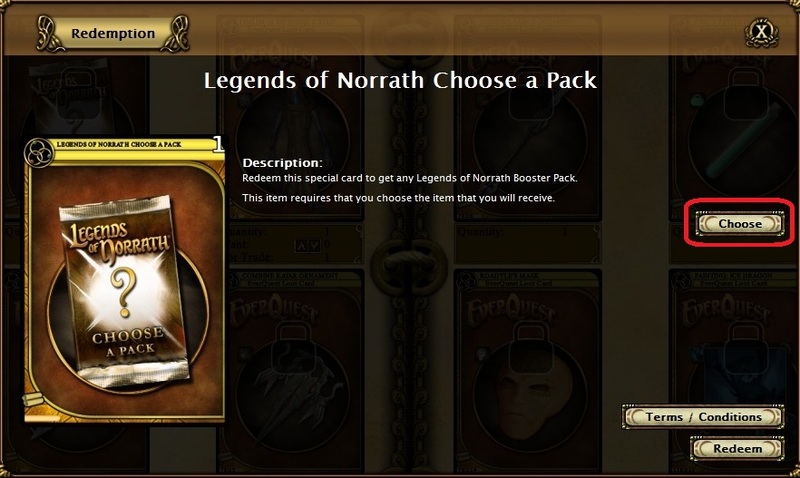 “Legends of Norrath” is an online-only trading card game, based on the world of Norrath from the massively multiplayer online role-playing games EverQuest and EverQuest II. 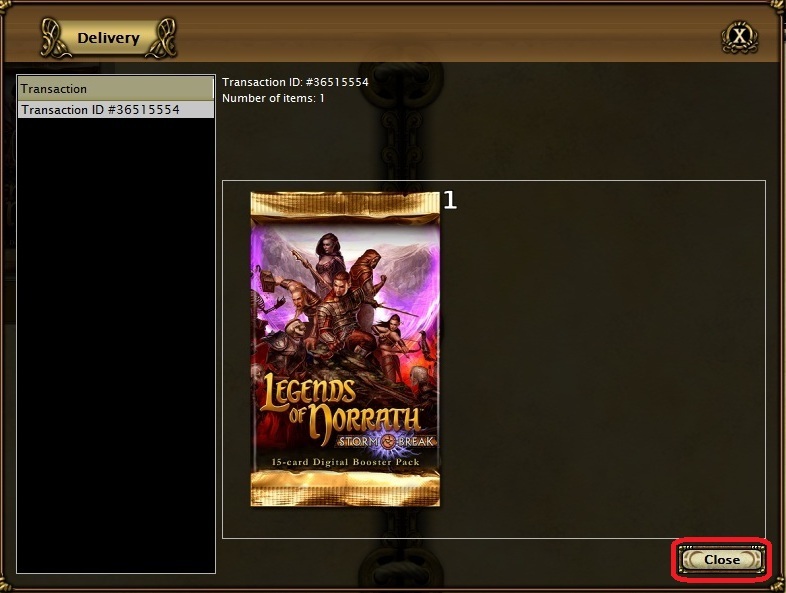 LoN is playable from within the MMOs and on its own client. 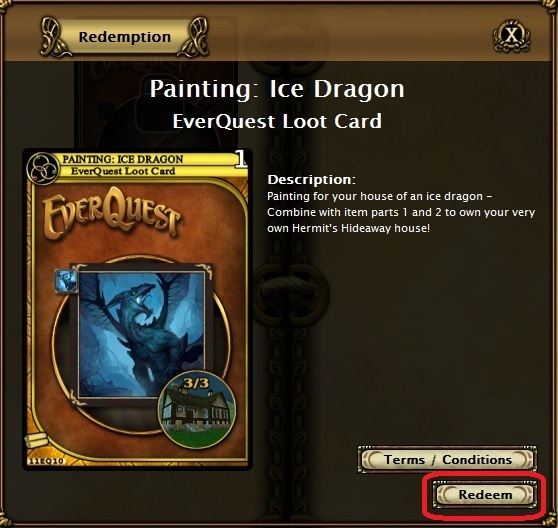 You automatically earn free LoN Card Packs every month your subscription is active in EverQuest. 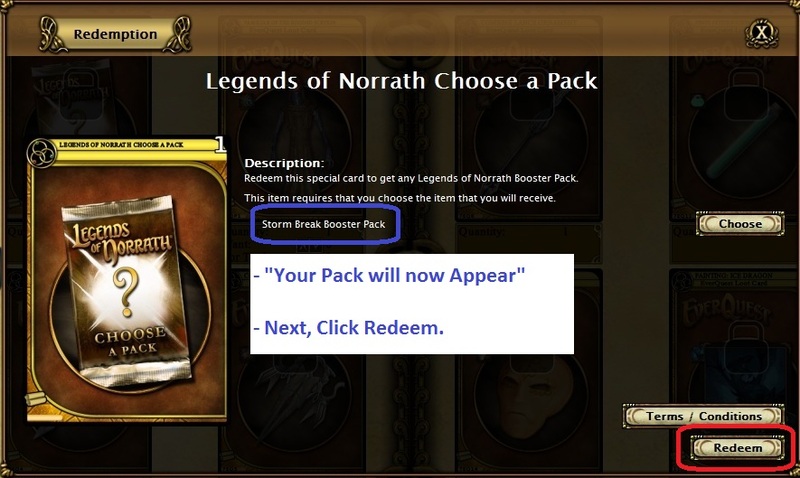 When you log into the Legends of Norrath (either through EverQuest or by the LoN Client) you activate the LoN Packs and potentially win free loot items that can be claimed in EverQuest. 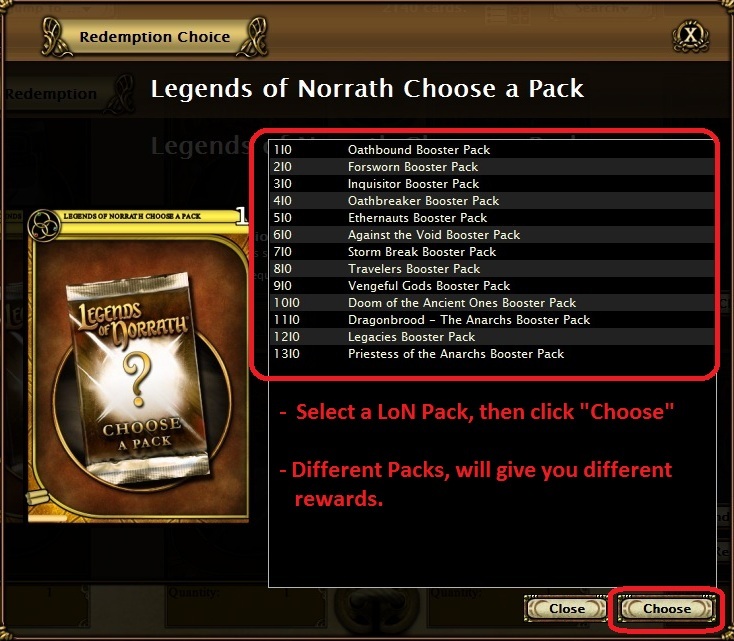 Reward items usually have an “average” of 1 item for every 5-10 LoN Packs. 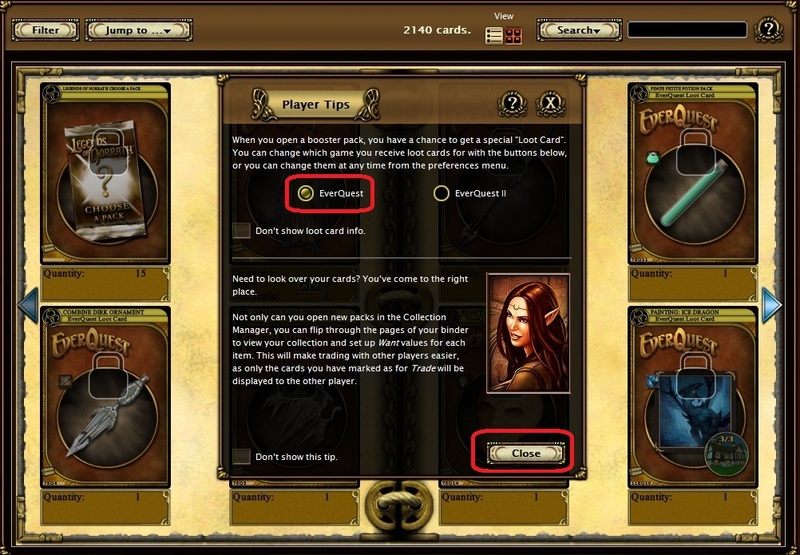 Some players have greater luck, while others have more difficulty. 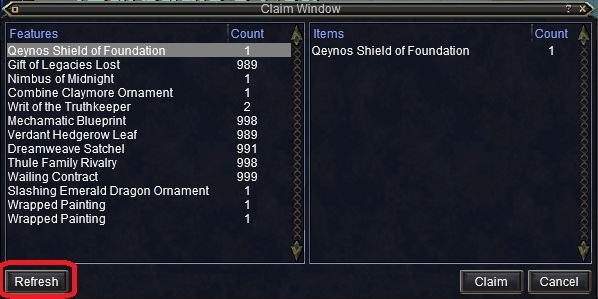 Some items are also more rare than others. 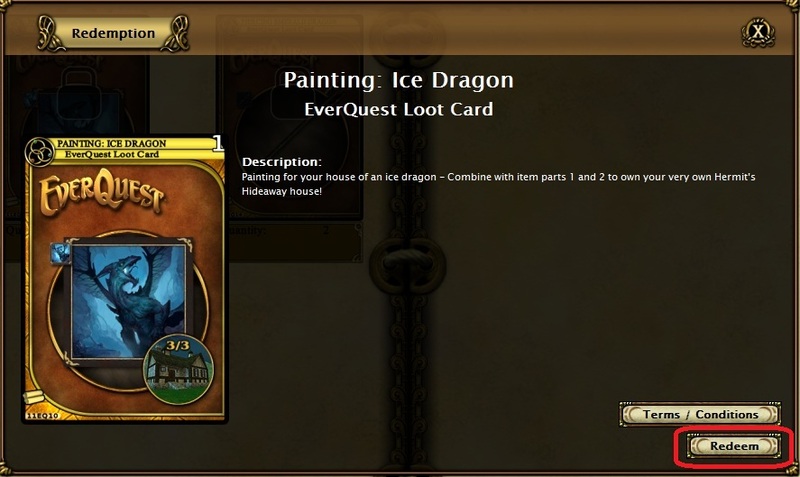 Loot items can range from Potions, Ornamentations, Player Titles, Items for your Player House, Fast Mounts, Familiars, and MUCH MORE! 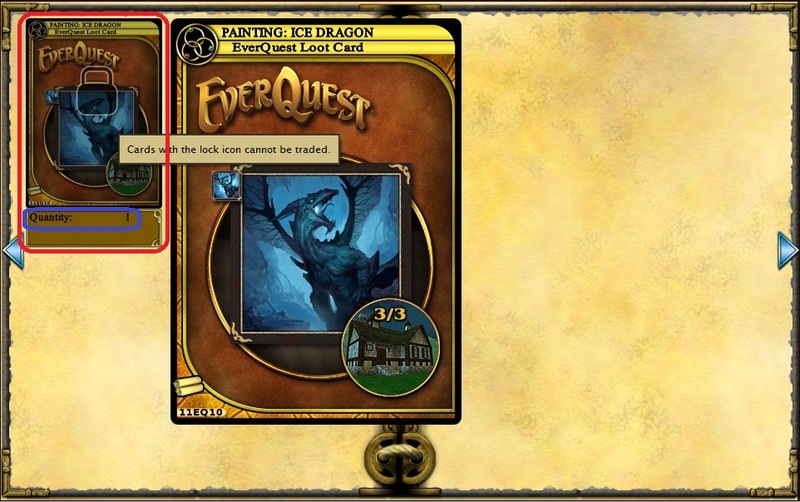 – Logging in through EverQuest: You need to make sure your are in Full Screen Mode. 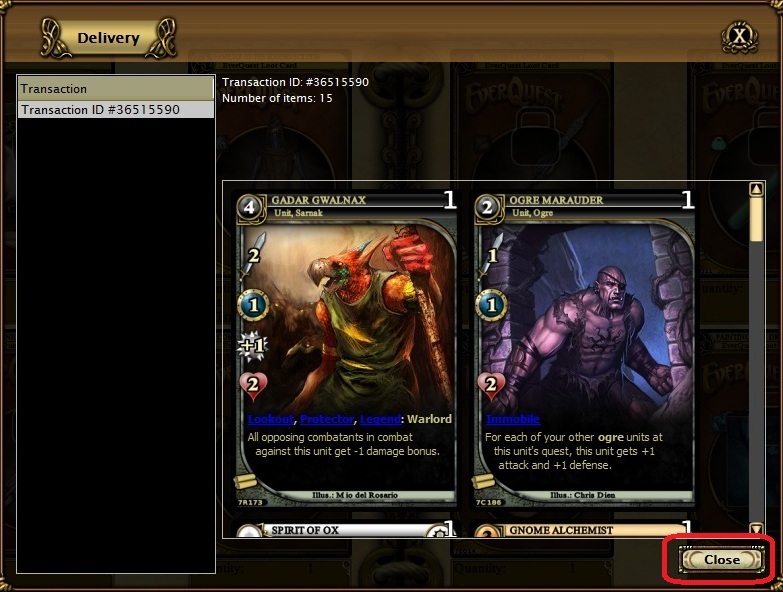 Many players often experience a client crash in the game, but for some reason the next few attempts work. It can be a bit buggy (thanks SoE..), but worth it. 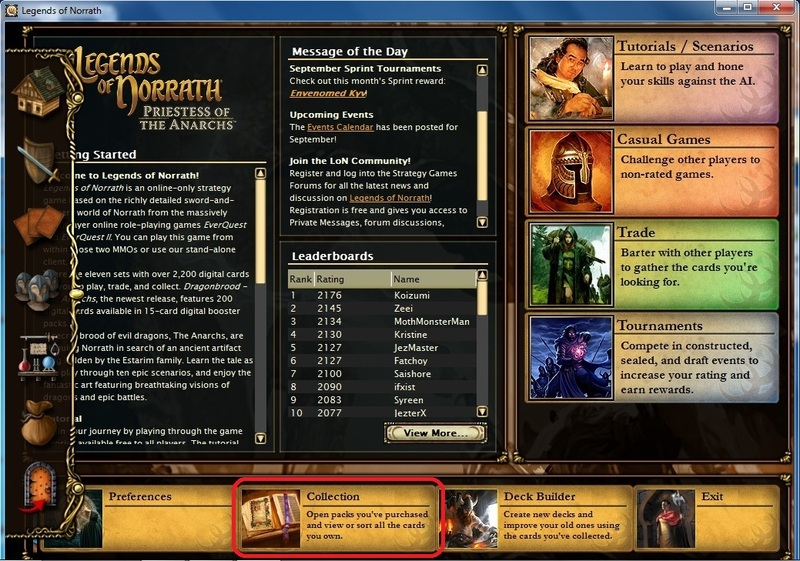 – Logging in through the actual “Legends of Norrath” Client usually has less client crashes. 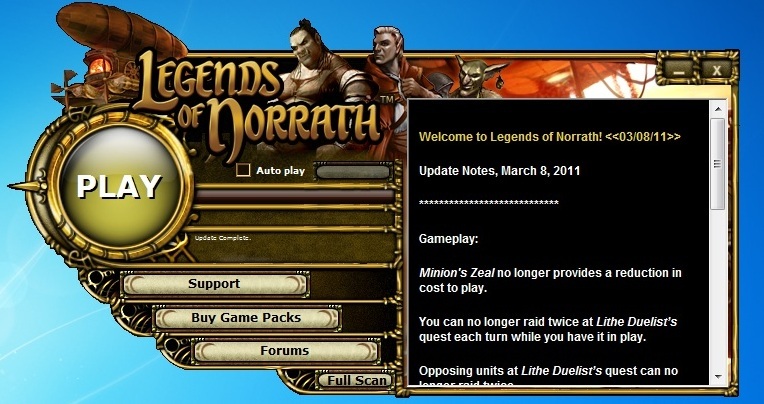 Download the Legends of Norrath Client: Click HERE. 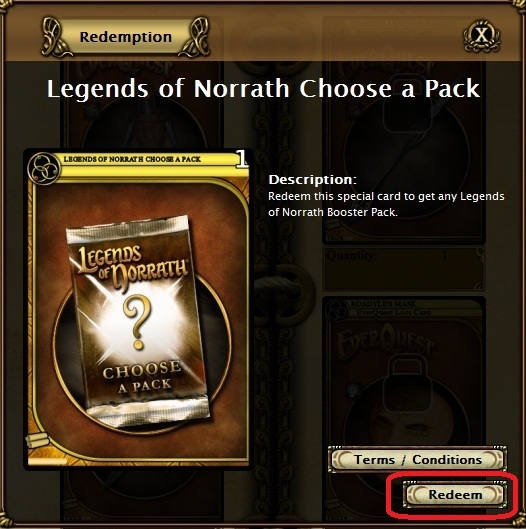 Comments: After this step, you “May” or “May Not” see a Reward Item. 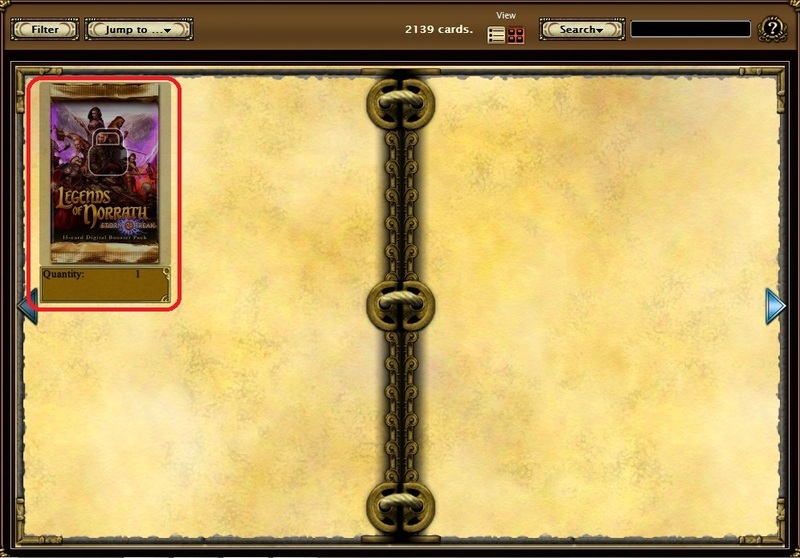 If so, it will appear in your LoN Reward book. 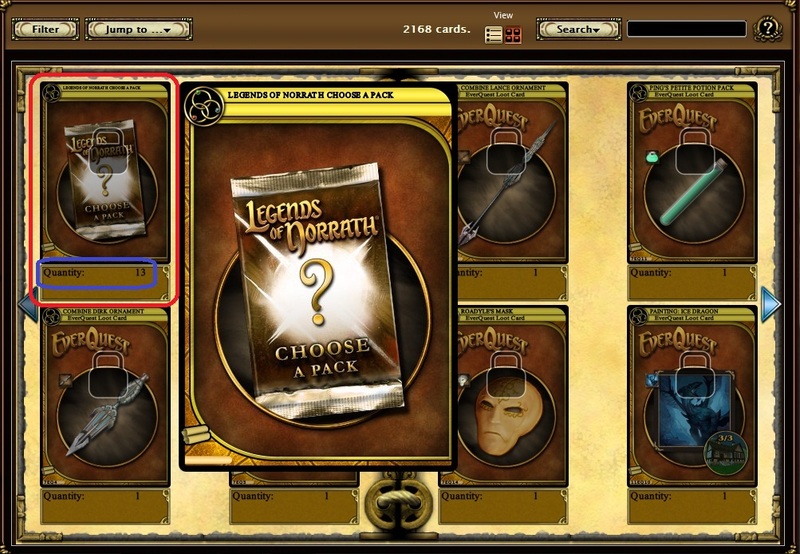 Continue going through your Packs and hopefully you will get an item that you can Claim in Game. Comments: After you claim your Reward. 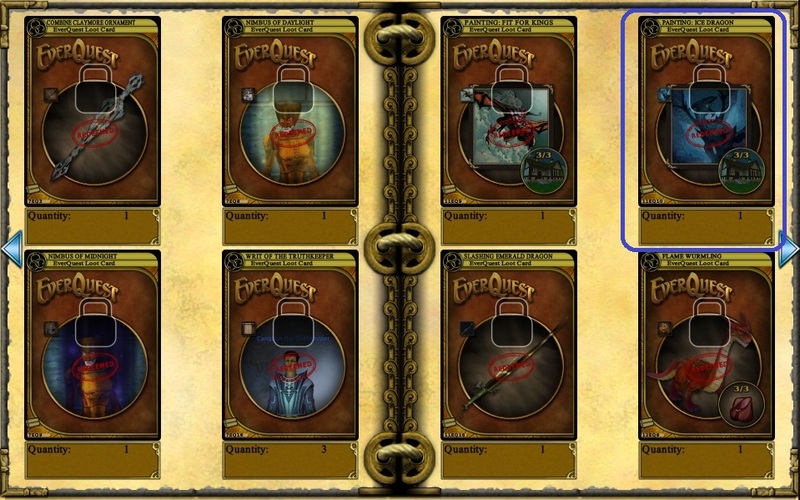 Go back to EverQuest to receive your item. Comments: Be sure to click “Refresh” and your reward list should update. 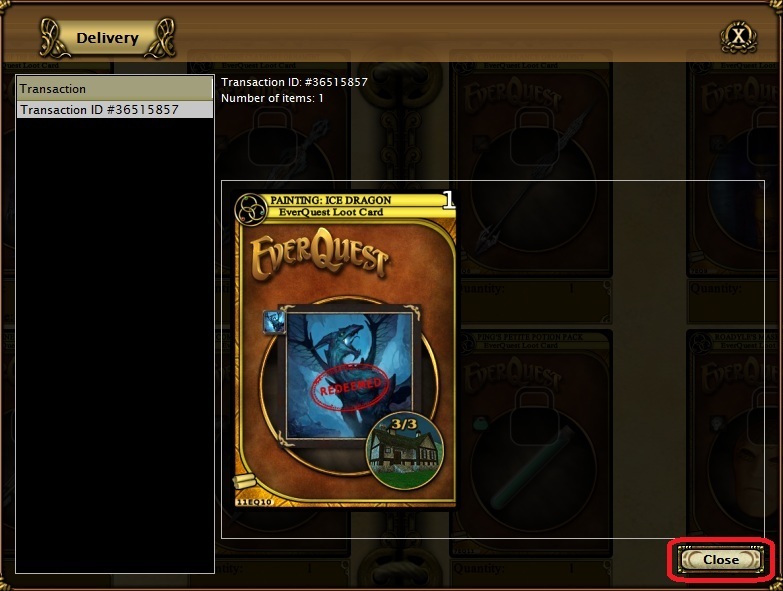 Comments: You will need 1 main inventory slot available for your item to be transferred. Standard LORE rules apply.